This year’s pantomime from the multi-award winning KickstArt theatre company is a magical, brand new production of Cinderella, everybody’s favourite fairy tale about the kitchen maid with the heart of gold, who wins the hand of a handsome prince. With lush sets and gorgeous Baroque costumes, toe-tapping songs, jokes aplenty and masses of audience participation, this is year-end family entertainment at its very best! 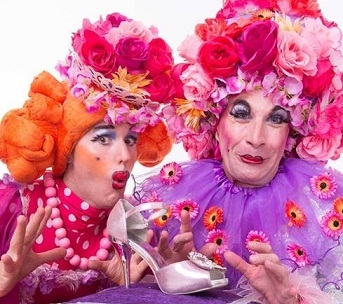 It is directed by Steven Stead, designed by Greg King with choreography by Janine Bennewith, and stars Darren King and Bryan Hiles as the Ugly Sisters, Mthokozisi Zulu as Buttons, Nathan Kruger as the Prince, Lyle Buxton as Dandini and Angela Valverde as the Fairy Godmother. Cinderella will be played by newcomer, Roshanda Lewis, chosen from 40 hopefuls in an open audition to play the coveted title role. Cinderella comes to the Elizabeth Sneddon Theatre on UKZN campus from December 7, 2018, until January 6, 2019. Booking is open through Computicket outlets; telephonic bookings on 0861 915 8000, and online bookings at www.computicket.com. For schools’ performances, charity fundraisers or block bookings of 50 or more, contact KickstArt Theatre via email: kickstart@letni.co.za. Also, note the Early Bird Special Offer on ALL shows: Buy eight tickets and get two free. This offer is available through Computicket up to the first performance of each production.